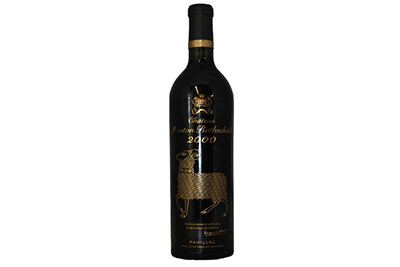 One of the famous Bordeaux ‘First Growths’, this wine is a well known powerhouse within the fine wine market. 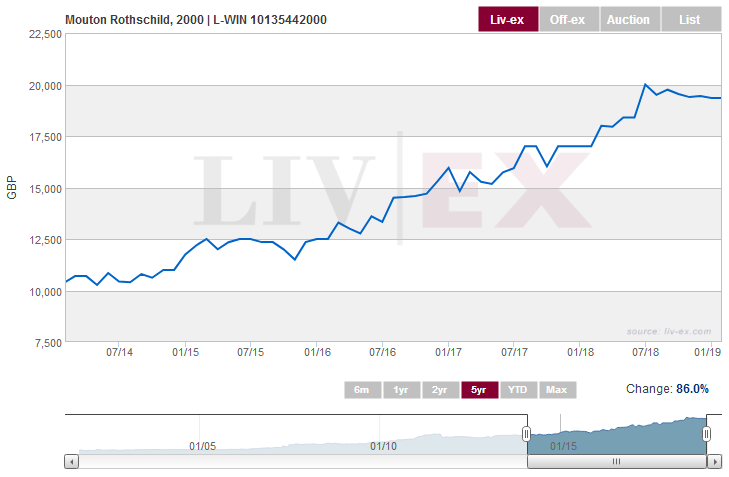 We’ll take you through the last five year’s price performance but bear in mind this wine was released onto the market at £2,200 in 2001. Fast forward to January 2014 and its value had risen by 372% to £10,400. Assuming you had purchased a case in January 2014, the first years hold term would have delivered a healthy 18%, reaching a market value of £12,200. Two years later this figure had risen to £14,826, a growth of 43% against the January 2014 purchase price. Today, at the end of a five year hold period, the ‘Mouton 2000’ has a market value of £19,339 and would have delivered a growth of 86%, or a CAGR of 17.2% per annum.